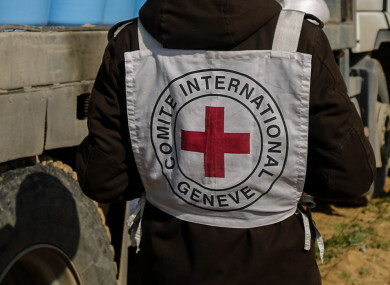 THE INTERNATIONAL COMMITTEE of the Red Cross has said more than 20 staffers have left the organisation since 2015 after “paying for sexual services,” as it called for change in a humanitarian sector facing “a watershed moment”. Following reports of sexual misconduct involving aid workers across multiple agencies, the secretary general of the ICRC, Yves Daccord, said the Geneva-based organisation had conducted a thorough internal review. “I have instructed my teams to scour the data we do have on sexual misconduct, and I can tell you that since 2015 we’ve identified 21 staff members who were either dismissed for paying for sexual services or resigned during an internal enquiry,” Daccord said in a statement sent to AFP. Two others did not have their contracts renewed over similar circumstances, he added, explaining that the decentralised nature of the organisation with 17,000 staff worldwide made it difficult to compile figures. Unlike crisis-hit British charity Oxfam, which did not explicitly bar its employees from hiring prostitutes, the ICRC has forbidden “the purchase of sexual services” since 2006, even in places where prostitution is legal, Daccord explained. He voiced concern that a number of incidents have not been reported, or reported cases were mishandled, and vowed the ICRC was working to address the problem. Broadly, the ICRC needed to “acknowledge the cultural shift required for the organisation,” Daccord said. The ICRC disclosures follow revelations that Oxfam was investigating 26 cases of sexual misconduct since a crisis erupted over its handling of a scandal involving prostitution in Haiti. Three of Oxfam’s senior leaders have apologised for the charity’s handling of an internal investigation into the hiring of prostitutes by staff in Haiti following the devastating 2010 earthquake. UNICEF’s deputy director Justin Forsyth resigned following complaints of inappropriate behavior towards female staff in his previous post as head of British charity Save The Children. It has also emerged that there were six confirmed cases of child sexual abuse and child exploitation by staff or associates of the Plan International charity. The charity said five of the cases, which took place between July 2016 and June 2017, were reported to the authorities in the countries involved. “Five out of the total six cases were of a criminal nature in the local contexts and were reported to the local authorities,” it said in a statement. Plan International said that in the same period, there were nine confirmed incidents of sexual harassment or sexual misconduct by staff, resulting in seven dismissals. The other two staff whose misconduct amounted to use of inappropriate language, were given a warning. Email “Red Cross says more than 20 staff have left after 'paying for sexual services'”. Feedback on “Red Cross says more than 20 staff have left after 'paying for sexual services'”.